Curator Gosia Koscielak drew from the paradoxical vision of the contemporary world that George Marcus embedded in his concept of cultural “creolization,” the mixing and blending of local and global for this exhibition. For Koscielak, Polish and American cultures are part of this process. Poles have extensive experience functioning within the global model. Poland has always been a crossroads of European cultures, and then later it was part of the failed Marist utopian experiment in creating a universal culture in Central and eastern Europe. The exhibition featured works by 24 American artists of Polish heritage predominantly from the Chicago area, who examined the cultural discussion concerning individual and artistic identities. Artists in the show addressed the dialogue between global versus local (or “glocal”) and how it transforms the way we perceive the world. Some artists for the exhibition found connections with contemporary Polish traditions of constructivism, personal expressions of existential problems, and conceptualism. Other artists for the exhibition found connections with American issues of cyberspace, psychological states, and spirituality. 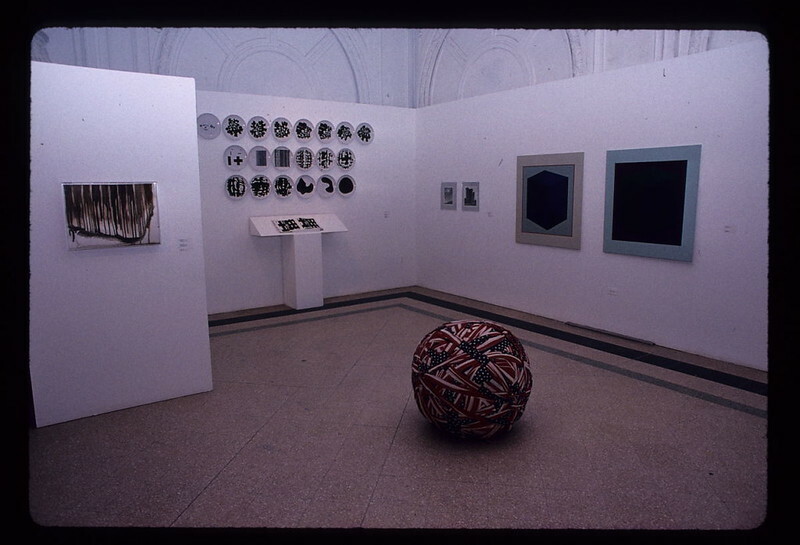 The exhibition ran in conjunction with exhibitions on contemporary Polish art at the Chicago Cultural Center, The Art Institute of Chicago, The Museum of Contemporary Art, The Renaissance Society, and Gallery 400. Edith Altman, Richard Anuszkiewicz, Jan Brud, Ellen Campbell, Bill Cass, Tom Czarnopys, Neil Goodman, Joseph Jachna, James Juzczyk, Kasimir Karpuszko, Gosia Koscielak, Dennis Kowalski, Monika Kulicka, Marion Kryczka, Donald Lipski, Tadeusz Myslowski, Marlena Novak, Ed Paschke, Frank Piatek, Miroslaw Rogala, Katherine Schutta, Thomas Skomski, Maciej Toporowicz, and Mary Lou Zelazny.